Jeff Iorg will speak on his latest book “Leading Major Change in Your Ministry” during the KNCSB One Day Leadership Conference. The conference will be held Tuesday, Sept. 11, from 10 a.m. to 3 p.m. at the Blue Valley Baptist Church Ridgeview Campus, 1325 S. Ridgeview Rd., Olathe, Kan.
Iorg is president of Gateway Seminary, the former Golden Gate Seminary. He is the author of seven books. The cost is $15 per person which includes lunch and a copy of Iorg’s book. You may register on line at https://www.eventbrite.com/e/dr-jeff-iorg-one-day-leadership-conference-tickets-47175172210 The password is KNCSB. 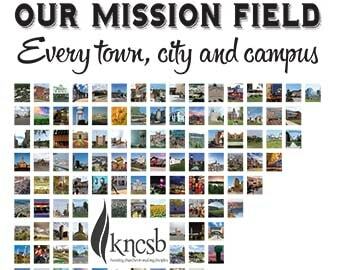 Or you may send a check payable to KNCSB and mail it to David Manner at KNCSB, 5410 SW 7th St., Topeka, KS 66606. Sept. 5 is the registration deadline.